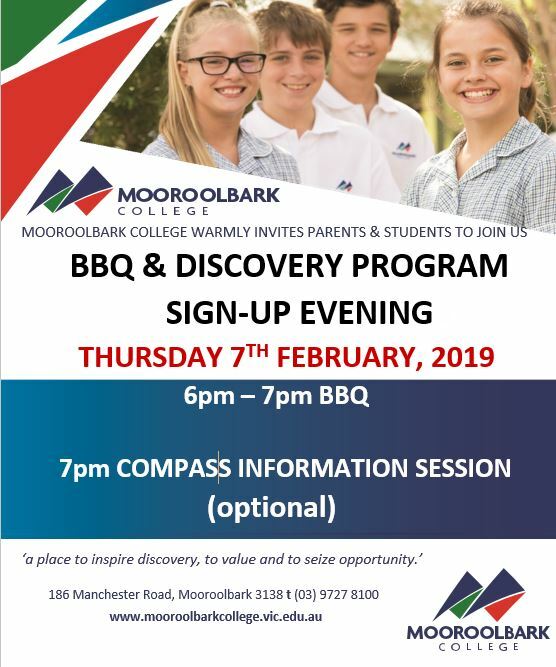 A friendly reminder that our annual students and parents welcome Year 7 BBQ & Discovery Program Sign-up Evening is on at 6pm Thursday 7th Feb. All welcome! An optional Compass session will follow at around 7pm for any parent who would like to attend. We look forward to seeing you there!